Reliability simplified. 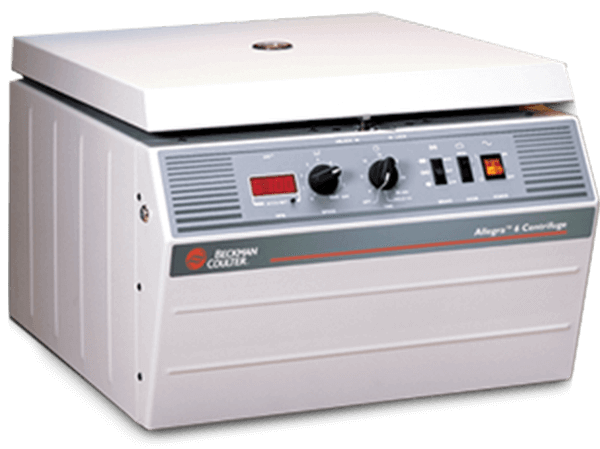 Versatility in a benchtop general purpose centrifuge. The easy to use, quiet operation and system comes configured with the rotors and g-force for your general laboratory needs, including the exclusive ARIES Smart Balance Rotor, which recognizes and corrects rotor imbalance up to 50 grams per bucket set. Ideal for Cell Culture, Plasma and Other General-Purpose Separations. Processes up to 56 x 15 mL conical tubes or 12 standard microplates. Spins tubes, bottles, microplates, specialty bottles and blood bags. Performs from 2,010 x g to 5,710 x g. Interchangeable rotors available.